Organic. Bursting with colour, aroma and healthy sweetness. Origin Canada. - Low in calories, High in soluble dietary fiber, minerals, vitamins, and pigment anti-oxidants that contribute immensely towards optimum health and wellness. Anything a raisin can do, a blueberry can do it with more style. Not to mention, more antioxidants. Oatmeal blueberry cookies, anyone? Our organic blueberries are bursting with colour and goodness, they are one of the highest antioxidant foods on the planet. Traditionally popular when use in baking and pies, they are a great addition to smoothies and raw food recipes too. Blueberries have been a popular addition to most health junkies diets! There aren’t many naturally blue foods in nature and blueberries are rather special in many ways. 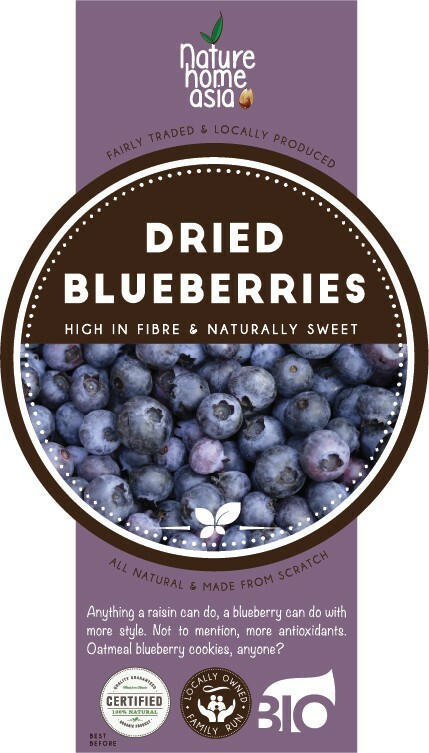 Sweet, juicy and with a tart flavour, blueberries are rich in natural pro-anthocyanin pigment anti-oxidants. These tiny, round blue-purple berries have long been attributed to the longevity and wellness of indigenous people living in the Northern hemisphere. They require a well-drained sandy, acidic soil to flourish. The shrub prefers open sunny conditions the berries are ready for harvesting when they turn completely blue from green-pink, become soft, juicy, and sweeter. Traditionally, blueberries are gathered by handpicking, and therefore, require intense labor. Soon after the berries picked from the plant, they are sorted and transported to cold facility for storage. Blueberries are low in calories and possess lots of health benefiting plant-nutrients such as soluble dietary fiber, minerals, vitamins, and pigment anti-oxidants that contribute immensely towards optimum health and wellness. Blueberries are among the highest anti-oxidant value fruits. and are high on the ORAC value. 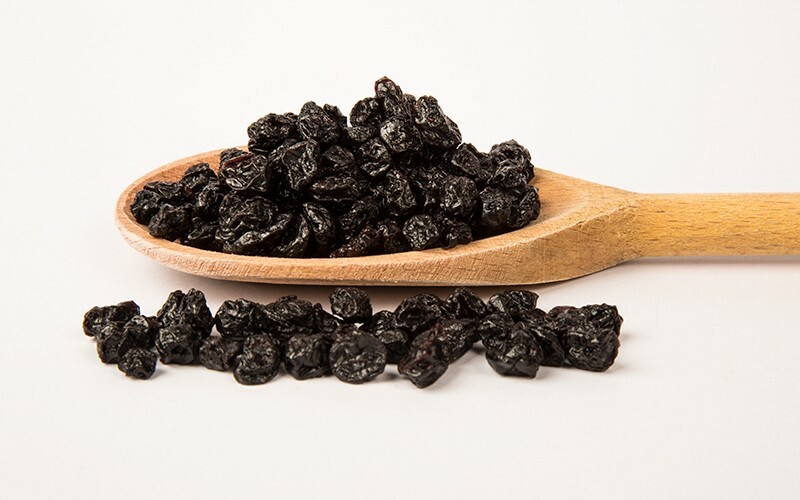 Their antioxidant value largely comes from poly-phenolic anthocyanidin compounds and additionally they have other flavonoid anti-oxidants such as carotene-ß,and lutein. Altogether, the phyto-chemical compounds in the blueberry help rid off harmful oxygen-derived free radicals from the human body, and thereby, protect it against cancers, aging, degenerative diseases, and infections. They also contain a good amount of minerals like potassium, manganese, copper, iron and zinc, and the chlorogenic acid in blueberries help lower blood sugar levels and control blood-glucose levels in type-II diabetes. This has made them a very popular addition to people’s diets over the last few years. Blueberries are no longer just for muffins! So how do we use them? Eaten straight as a snack, added to smoothies, sprinkled on yoghurt, and added to your cereal they will add a burst of colour and sweetness to your food. Of course they do taste wonderful in muffins, cakes, tarts, pavlovas and tarts. You can also use them in raw food recipes, so why not decorate your next raw cheesecake with blue swirls...that not only look great but also are amazingly good for you. Blueberry’s rock!